Flappy Bird is a game with only a single button. Players tap their fingers against the screen repetitively to get this plump little bird to flap its wings fast enough to resist the gravity of whatever massive planet it must live on, but not so fast quickly that it flies up into pipes hanging from the ceiling for who knows why. The game takes seconds to learn, and it still manages to be frustrating as $%&#. 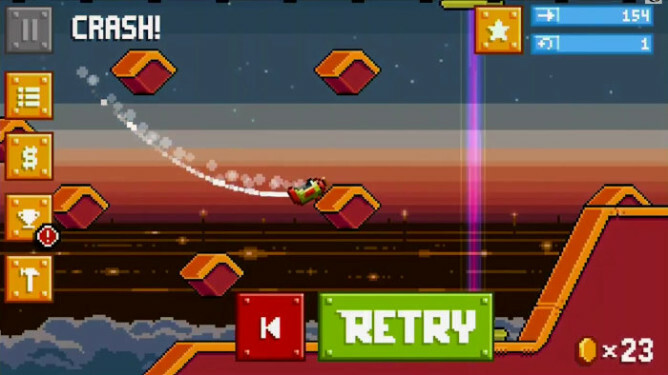 Now Angry Birds developer Rovio is looking to release a game that has all the potential to be even more infuriating. The game's called RETRY (at least with a name like that, no one can complain about not having fair warning). 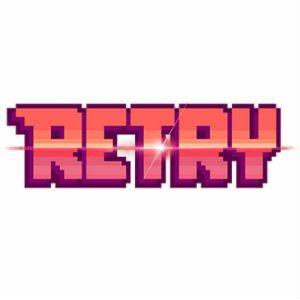 RETRY is the first game in development under the company's new LVL11 brand, where it can develop experimental games unrelated to Angry Birds and its core franchises (okay, pretty much Angry Birds). Players take control of an airplane and try to pilot it through various environments without flying into any obstacles. The concept is similar to Flappy Bird, but it's different enough to be more than a mere clone. The challenge here is from performing appropriately timed vertical loops, not struggling to stay airborne. The game is currently only available for iOS in Canada, Finland, and Poland. That's a short list, but in this case, that may just be a good thing. The finished version is likely to be challenging enough. I'd hate to be on the ground level helping to work out the kinks.